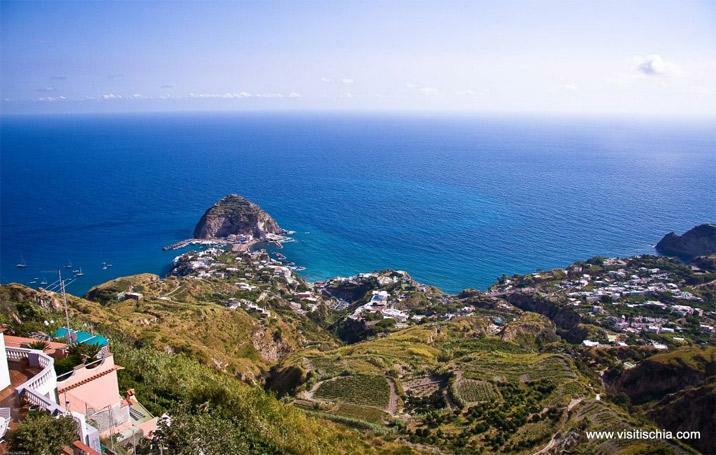 At 390m from the sea level, in the small and panoramic square of Serrara, the bar restaurant La Floreana, offers a pleasant relax moment, from its terrace you can see Capri and Ventotene, and the green hills of the splendid suburb of Sant' Angelo. You can drink a fresh lemon juice, or taste the typical island cuisine. The rabbit 'Baffone' bossses the show. Typical ischian cuisine, good pizza and rabbit to taste daily dishes recommended by chef Aniello called Baffone. Local derives from a historic palace of the suburb of Serrara, a terrace with a splendid view of the hills above the sea and Monte Epomeo and the suburb of Sant' Angelo. easy to reach by car and bus.